Yep, chiptune is pretty addictive, so why not get it for free? Impact Soundworks has generously offered Super Audio Boy – a Kontakt instrument that has faithfully sampled the original Nintendo Game Boy – for free. Access all the 8-Bit Nintendo Game Boy samples you could ever need for free with the Super Audio Boy for Kontakt. The hardware’s key waveforms were multi-sampled, which means it can be presented to the user in a easy play and tweak format. With more than fifty presets, along with extra PCM drum samples and waveforms, there’s plenty of territory to cover in the realm of chiptune nostalgia. It’s more in depth than you might think, with four independent layers with individual parameter controls, five effects racks and perhaps most useful, an arpeggiator and sequencer. 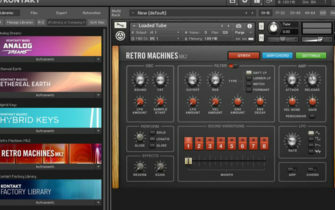 Just in case it seems too good to be true, you must own the full version of the Kontakt Player from Native Instruments to get full functionality. Check out the Super Audio Boy here. Listen to some demos below.